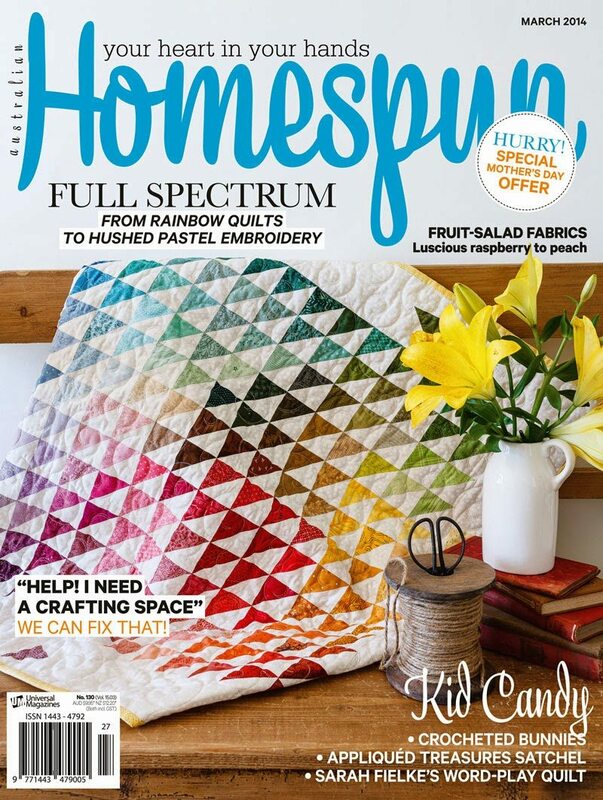 The March Australian Homespun magazine is packed with beautiful projects and a great article on solutions for cramped craft spaces. (My ruler storage system gets a mention in the article.) Out now at Newsagents, Supermarkets and on-line. Storage is always on my mind! Pity Homespun is always available in shops before subscribers receive theirs. Is this available as digital magazine? I'm in the us and it looks like a great one!